Just over a month ago, Xiaomi executives confirmed that the Mi Mix 3 would reach consumers starting the end of October. Unfortunately, no exact unveiling date was confirmed. 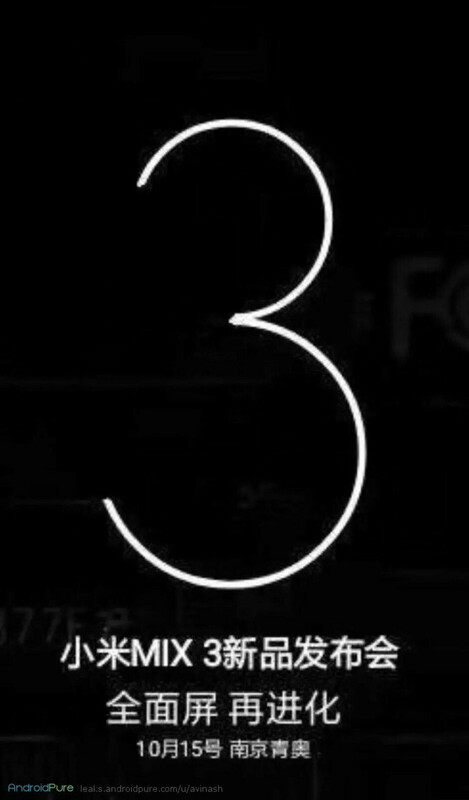 But thanks to an alleged teaser that has just leaked out, it seems the smartphone’s announcement event will actually take place on October 15. 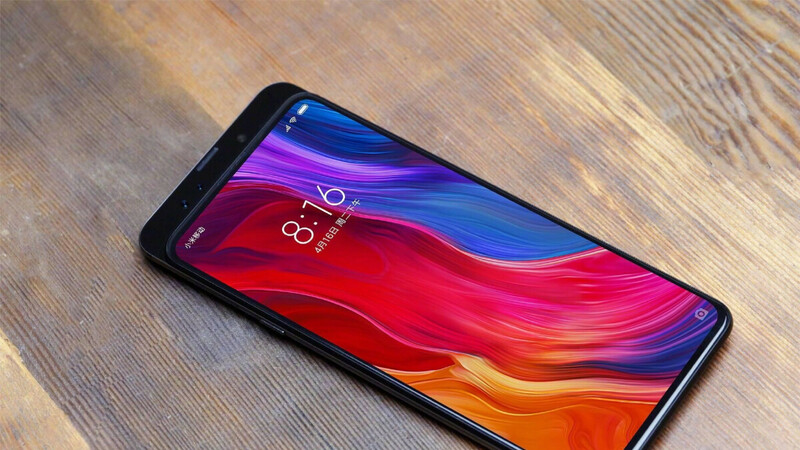 As revealed by an image posted towards the end of August, the Mi Mix 3 will introduce a modified design that makes use bezel-less front display and a sliding rear panel that houses both the front and rear cameras. Internally, it’s safe to assume that Qualcomm’s Snapdragon 845 will be included alongside the choice of either 6GB or 8GB of RAM. When it comes to internal storage, previous base models have shipped with 64GB. With the Mi Mix 3, though, the low-cost brand is expected to up this to 128GB. Similarly, the top-of-the-line variant should ship with 512GB, although a 256GB variant is to be expected also. In regards to the other features, an in-display fingerprint scanner has been rumored. This will presumably accompany a single front-facing camera and a vertical dual setup on the rear. Completing the setup will presumably be a battery of around 3,500mAh and Android 9 Pie straight out of the box along with the MIUI 10 skin on top. As mentioned above, the Mi Mix 3 is expected to go on sale towards the very end of October. As usual, initial availability will be limited to the Chinese market. This means that other countries aren’t expected to receive the device until mid-November. Nokia 9 or Mi Mix 3? Too bad that the Mi Mix 3 will have SD845, while SD855 is almost released. That's why the Nokia 9 is postponed. The SD955 is at least 5 months from being released.